Select Print Medium Fine Art Paper Canvas Select a Size 16x12 in. 21x14 in. 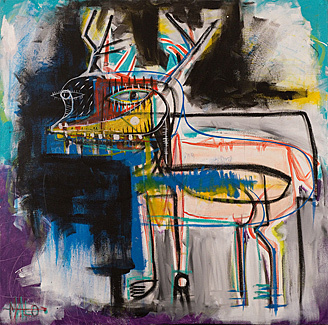 36x24 in. 42x28 in. 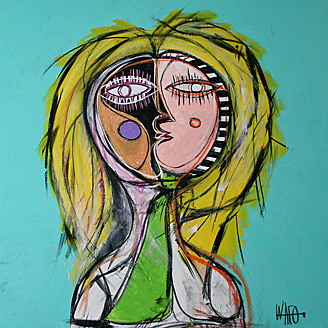 This expressionist painting by MALO combines the artist's classic style with the simplicity and beauty found in portraiture. This limited edition print features a young woman with pale skin and hair against a bright summer background. 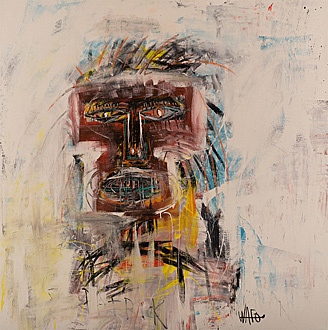 This more abstract portrait following a similar style to Picasso brings a vibrant energy to any display.